Spend Mother’s Day weekend at The Oregon Garden for Digging in the Dirt. Beginning at 10:00am, enjoy a day outdoors planting our spring annual flowers. After you are done, sit back and relax in the beautiful Garden with a brunch buffet, live music & bottomless mimosas! You will also receive a piece of the Garden to take home with you and a ticket to return in the spring to see your flowers bloom! 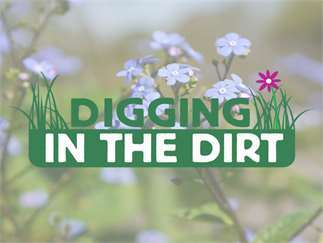 Visit http://www.oregongarden.org/digging-in-the-dirt/ for more details about the event.